SWITCH OR RENEW YOUR BUSINESS UTILITIES TODAY! In order to successfully switch or renew online today, you will need to provide specific information regarding your energy account. So please ensure you have a recent utility bill to hand. Dean Jones of Watts Utilities was very helpful when I renewed the gas and electricity contracts, for our local Church, with npower earlier this year. He acted in a friendly and professional manner which meant both contracts were renewed quickly and efficiently. I recently used Watt Utilities to renew my energy contract. Very helpful, honest and transparent. Would definitely use them again. Thanks for the great service! We were contacted as a cold lead for an energy renewal. Out of all the calls we receive (which as a business, is a considerable number) about renewing our energy contract, Jonathan Fincham was a considerable help as well as one of his team, Jake (forgive me I am unsure of his surname), in identifying our services used, finding us the best deal and most importantly, helping the transfer go smoothly and easily without a great deal of effort from our end! The level of service provided was one only business owners can dream of. Thank you for this assistance guys and I highly recommend Watt's Utilities to assist with any other commercial utility services! 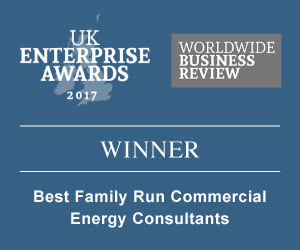 I would highly recommend this company for assisting you with your business energy needs, very helpful - especially Jenna who has been fantastic with us in securing us the best and most competitive energy deals!! Thank you for making this process so easy!! Why should you use an LOA? Below are reasons why we use LOAs when arranging supplier retentions and transfers. Confirm your existing tariff prices - meaning we can find you a more bespoke and appropriate price for your next contract. Check energy consumption – which means we can provide you with a more accurate annual /monthly/quarterly spend and comparison. Issue contract termination notice – to allow a transfer to your chosen supplier. Deal with any objections and rejections that may arise during a supplier transfer - basically this means we can deal with any issues that crop up. We can do nothing more than what is detailed in the document. Simply complete the relevant fields on the document below and click. We’ll confirm with you once we’ve got it, and it is all systems go to securing a better deal for your business! An AMR meter is usually referred to as a Smart meter. Smart meters are similar to traditional meters in regards to the way they measure the amount of energy you use. However, unlike normal energy meters, smart meters remotely send real-time information about your energy consumption to your supplier. This means you will no longer need to provide meter readings, but won’t run the risk of your consumption being estimated. Smart meters work by sending communications to your supplier via a SIM, mobile internet connection or WIFI. MPR stands for Meter Point Reference. This number is found on your gas bill and consists of one long number with up to 10 digits. It may be located somewhere at the top or bottom of the bill. The number does not contain any letters. An MPAN (Meter Point Administration Number) is a unique number to the property. It is found on the electricity bill issued by your supplier. This is sometimes called a Supply Number but it should not be confused by your customer reference number. The full MPAN is 21 digits in length and should be printed in the format below on a recent electricity bill.